Make 4 interest-free payments of $119.75 fortnightly and receive your order now. Click here for more information. 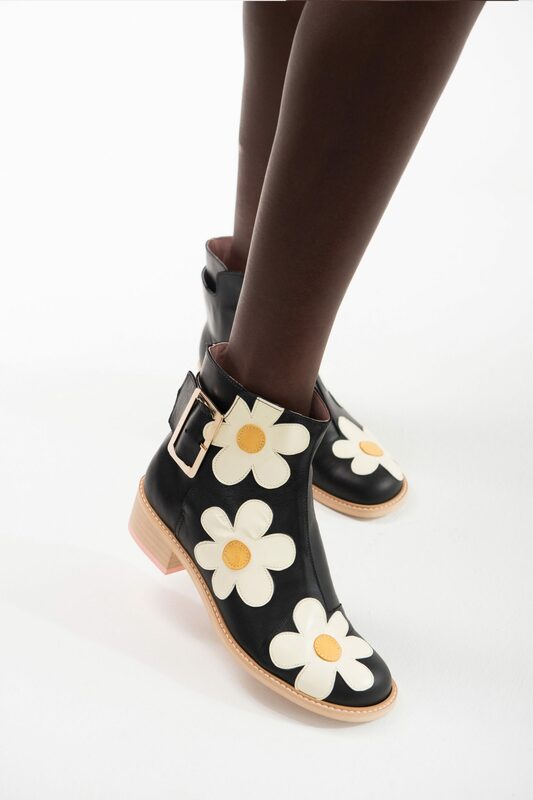 We have reimagined our Buckle Boot with beautiful, leather applique daisy flowers, inspired by the 1960s. Each flower has been hand cut, placed and sewn onto the boot before it’s lasted by our footwear team. This limited edition shoe is a very special Kuwaii release. 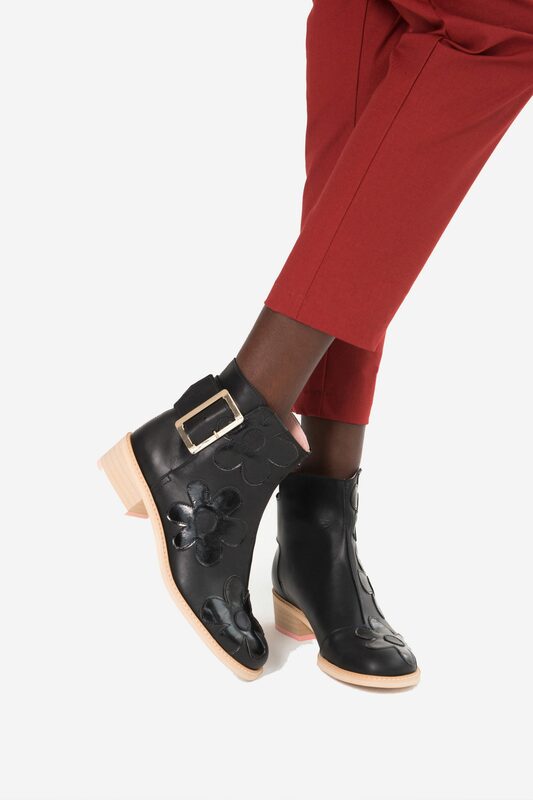 Featuring a gold buckle and strap, this boot is produced on a hardwearing wooden stacked heel, hand-made natural resin sole and signature blush pink sole.